Yup, our brains are made up of 60 percent fat, says Dr. Michael Green, a research psychologist at Aston University. To function optimally, our brains need to maintain this level of fat. A lower amount of fat, in fact, can lead to neurological disorders. Dieters beware! According to new research, the composition of gut bacteria can affect brain development and adult behavior. Gut bacteria can affect autoimmune diseases like multiple sclerosis as well as developmental disorders like autism. According to new research carried out by the University of Massachusetts Medical School, humans may have an internal compass that allows them to navigate across the earth without an external device. The study found that monarch butterflies have an internal sense of direction that allowed them to get from one point to another even in the absence of light by sensing the Earth's magnetic field. Because we share a similar crypotochrome gene with monarch butterflies, it's possible that we have this magnetic sensing ability too. Three-year-old brains are two-and-a-half times more active than adult brains, says a report by the California Early Childhood mentoring program. Because children are born with blank brains, each experience is completely new. 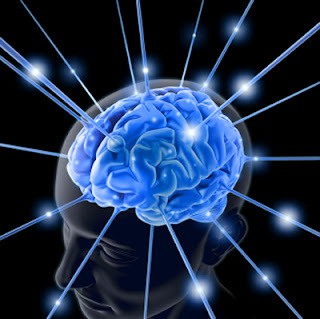 In the first three years of his or her life, a child builds approximately 1 trillion synapses. New research found that time perception changes depending on how close or far an event is from us.